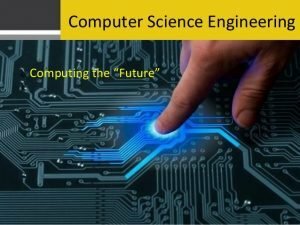 Computer Science Engineering is a special discipline of engineering that is a combination of various fields of electrical engineering and computer science that is needed to develop computer software and Hardware. With the modernization of the digital world, the boom for the Computer Engineering has raised its hands to the great heights in the field of technology. 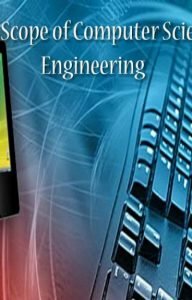 Among all the engineering streams, now a days, Computer Science Engineering Seats are occupied in the most prominent colleges/ universities. As per the years of research, the computer science engineering has been concluded as the most popular and demanding choice of students among all the engineering branches. The branches of Computer Engineering is counted as the prime and popular engineering stream due to its researched scope (NeuroScience, Mechanics, Bio, etc) and is known to be challenging while offering good career opportunities and honorarium. Computer Science Engineering is the most reputed and demanding engineering stream as it is considered as the creator of technology and its rapid enhancement. Technical world is totally dependent on the Computer science and hardware engineering and the provided salary packages to computer engineers are much higher than any other engineering student. The Salary packages of Computer Science Engineers are much higher as compared to Mechanical engineering students. The averaging $101,360 per year, according to the U.S. Bureau of Labour Statistics in May 2011 the average salary of a computer engineer per hour is $48.73. Computer engineers can achieve the higher-earning path, i.e. Six-figure salaries just after completing their 04 year B. Tech Degree. For other degree holders like doctors, who have four years of medical schools or lawyers, who require four years of law school after graduation, and three to eight years of residency. According to the 2011 degree salary survey by Georgetown University, the master’s degree in computer engineering can enhance the earning percent by 16%. By Checking the IIT’s closing rank, you can analyze the competition for Computer Science Engineering in today’s world of technology. In the modern world, computer engineering is on the top most stairs where the whole world is going to be digitalized in the next few upcoming years. Many of the Indian Computer engineers have been recruited in the top most IT companies, that are Tata Consultancy Services (TCS), Wipro, Infosys, HCL, Accenture, Cognizant, etc. They were even recruited in the famous Silicon Valley in the USA by top companies like Adobe, Yahoo!, Apple Inc, Intel, Google, etc. For any type of assistance, while checking the Scopes and career opportunities in Computer Engineering, you are invited to contact our experts by just leaving your issues in the feedback section, we will respond you as soon as possible.